When talking about the history of evolution of quality management systems; a large number of national standards were developed as a part of quality assurance in 1970s in the area of manufacturing, military and in industries. Later this was extended to service industries and professional organization. But it was difficult to implement in the services that were granted by the building professionals like the engineers, architects, quantity surveyors. As it is not related to a product that is obtained from a manufacturing unit. 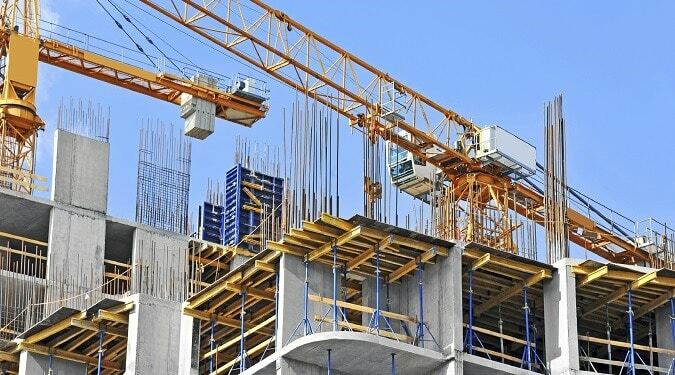 In order to develop formal quality management systems in construction industry, quality assurance and related are registered with certified bodies. They seek third party certification based on the ISO 9000 quality standards. Among the ISO standards, the most relevant quality management system to be implemented in the case of a building professional is the ISO 9001. For contracting organizations, ISO 9002 is more relevant. The quality management systems comprise the following standards. 2. ISO 9001: This standard section helps in specifying quality assurance in different production stages. These stages include design, development, production, installing and the final service. 3. ISO 9002: This specifically deal with the quality assurance in the production and installation stage of the task. 4. ISO 9003: Quality assurance in the final stage i.e. the final inspection and testing stage is guided by the standard. 5. ISO 9004: Quality management and quality system elements is dealt by this standard. This form the last part of the ISO 9000 series. The ISO 9000 standard helps in documenting quality procedures by providing accepted accounting principles. This certificate is provided for companies who carry out design activities as the major business operation. These companies carry out the design, development, production, installation and the final servicing. These are provided for the companies that does not carry out design activities. This includes production and installation. There are twenty different areas a company have to focus and pass in order to get certified as a ISO 9001 certified company. A clear idea on the quality policy must be stated by the firm to the management. Well defined responsibilities and duties must be established on the staff members who are involved in the quality management. The management must also ensure that for the verification of the performance activities, the resources and the personnel are available when needed. The quality manager must be given the right and authority by top management to bring up decision that will affect the quality of the services that is carried out within the organization. The continuing suitability and the effectiveness of the organization is ensured by having periodic review of the quality system of the firm. The quality system practiced and to be practiced must be documented in the organization. This help in ensuring that the services are carried out properly and consistently. This requirement forces the firm to make a project plan. This must undergo periodic project reviews which help in having service that accord with the client’s current contractual, administrative and the financial requirements. This help in the service to be compatible, clearly defined and documented. Pre-planning of the service is made which ensures the adequate resources and the support. Services to be provided are identified along with the identification of initial procurement and the advice for contract. Service design and the development planning. Every project must have a project plan specifying the number of staffs and the responsible performance for each activity. Every key project decision has to be identified. All internal and external data that are considered for the project developed is marked and documented as project data. Ambiguities and conflicting requirements are resolved. The work procedure and the documentation in the standard form will influence the preparation of project organization proposals. Qualified and experienced staffs will carry out the verification process of the service design. Any change in the service design have to be identified and documented. All change must undergo a review. They are accepted only after formal verification and approval. These quality documents can be issues and made available for the staff members who are involved the quality management system. The documents that are obsolete will be removed immediately. In situations, necessary for special work requirements, a firm shall maintain a register of specialist firm. Based on which personnel can be appointed based on the ability to provide the required service. Details regarding the information given by the client, agents, and the consultants must be recorded by the firm. This include the instructions, drawings, specification, minutes of meetings, schedules etc. A standardized system to identify, revise and control the project documents must be maintained by the firm. The project documents must be stored such that easy retrieval and traceability is possible. The firm must ensure that the activities that conforms to the quality is done based on the documented work procedures that is implemented by the firm. For special activities, continuous monitoring must be carried out. The inspection and the testing of the measuring equipment must be conducted in the sound condition. This must be done with utmost accuracy to ensure the quality in the service. Inspection and the examination of the documents and the service that are provided must be done at every stage of the project. Those work that is non-conforming must be identified. Those document that do not comply with the requirements specifies have to be prevented. Wherever a deficiency is identified there must be certain procedures that have to be maintained by the firm to correct it. There must be a means to review any sort of non conformance “feedback” system in the construction organization. The products that are outgoing must be properly addressed. They must show no chances to bring any damage. Project information that will include all the project quality record that is meant to meet the requirements of the client. The review of all the aspects of the quality system of the firm is done through periodic internal audits. This will show that the quality system is effectively used by the firm. The firm must identify the need for training for the individuals who are working for quality working system. It is recommended that the professional staff must undertake a minimum training attendance for continuing professional development that is put forward by the firm. The details of the staff qualification, training, and their experience have to be recorded. All the services provided by the firm to the client must be documented. Random sample techniques can be carried out for the quality control and monitoring of the activities. The quality level can be determined early through the sampling frequency.